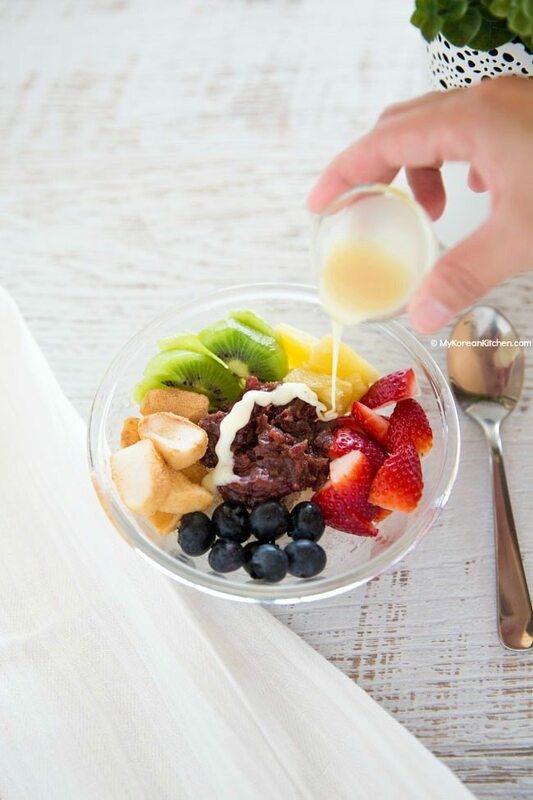 Make a perfect summer dessert, Patbingsu (Korean shaved ice) at home! It will chill you down for sure! Also, it’s super easy and delicious. 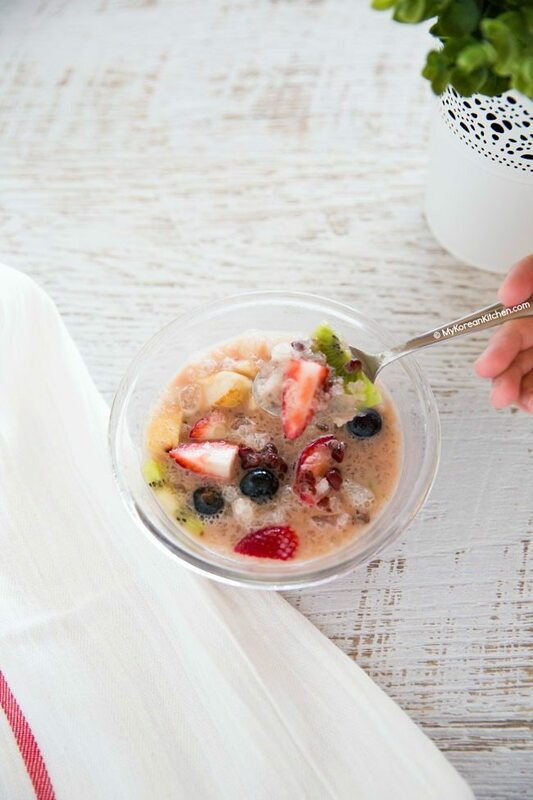 Bingsu / Bingsoo (빙수) is probably the most sought after summer dessert in Korea. Bingsu means Korean shaved ice dessert. When I was little, I only knew one kind of bingsu and that’s patbingsu. But nowadays you can see many varieties of bingsu (e.g. oreo bingsu, mango bingsu and green tea bingsu) depending on the toppings used, and the list seems keep expanding. 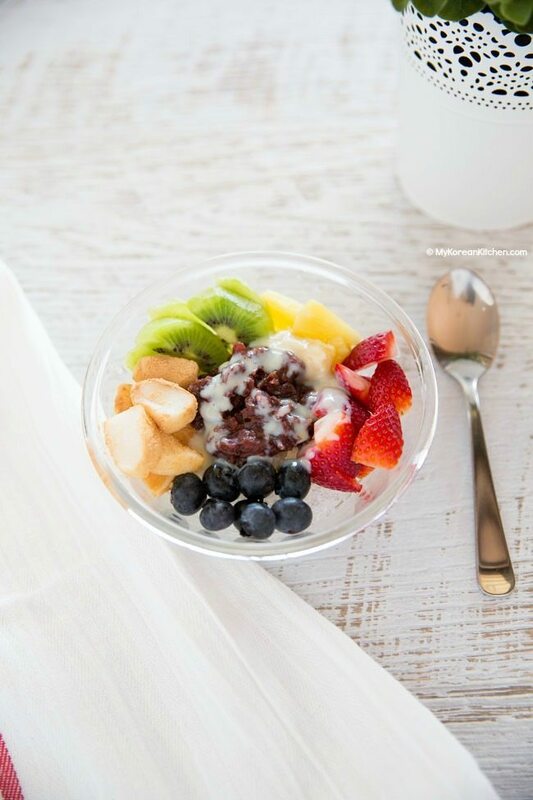 Now let’s put a spotlight on our topic, patbingsu today. Patbingsu / Patbingsoo / Pat bing soo (팥빙수) means Korean shaved ice with red beans. These red beans are boiled, mashed then sweetened, so it’s soft and sweet. It goes very well in dessert. 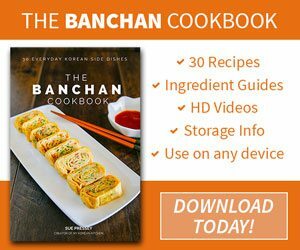 (Check out some of my red bean paste snack recipes from here: Korean donut balls and Korean style taiyaki). 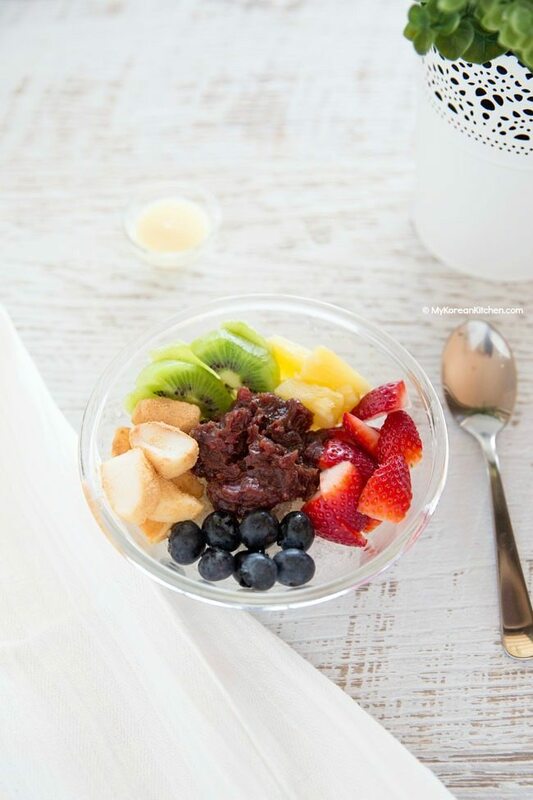 Another popular ingredient in patbingsu is small bite sized mochi / sweet rice cake toppings. I love having these! These are chewy, sweet and bouncy jelly like little goodies. Frankly speaking, these mochi rice cakes are my favorite part of the bingsu! The last thing I want to point out is, shaved ice is typically made with pure water but more recently milk shaved ice became hugely popular. So make sure you check out my milk bingsu recipe too. To make shaved ice, you typically use an ice shaver, but I don’t own one. So I made mine with a food processor. I read that the texture of the shaved ice would be different, nonetheless, it does the trick! 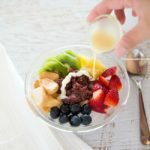 Patbingsu is super easy and quick to make. It’s also very versatile as well! (You can add anything you like as a topping!) I hope you enjoy making it! It will be a fun family summer project! *Other popular toppings – A scoop of ice cream, breakfast cereal (e.g. 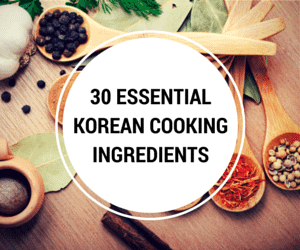 cornflakes), green tea powder, Korean roasted grains, mango, banana, jellies. The list goes on and on. 1. 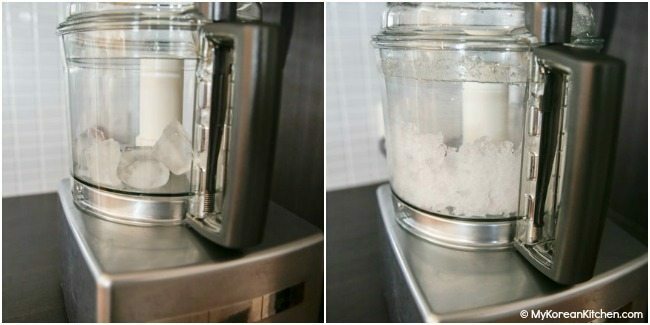 Put the ice blocks into a food processor (or shaved ice machine if you have one). Grind the ice (for about 20 seconds) until it has a smooth texture. 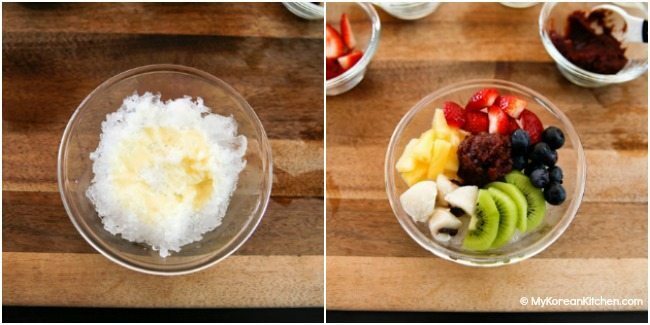 How to Make Patbingsu (Korean Shaved Ice). 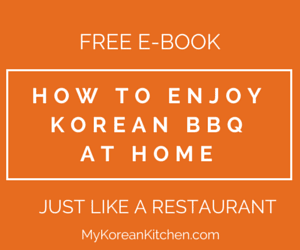 The most popular Korean summer dessert. Put the ice blocks into a food processor (or shaved ice machine if you have one). Grind the ice (for about 20 seconds) until it has a smooth texture. This is very similar to iur filipino dessert, we call it Halo halo. I wanted to let you know this a great post. It reads like a friend is sharing some her day, some tasty recipes and they are easy to follow. Thank you and have a great week. What fun! And so pretty. I love bingsu. In the US,at least where I go,it’s referred to as bingsu. What’s the difference between patbingsu and bingsu?